A look ahead at the films set to come out in the fall season, starring ten of our most anticipated titles. Harry Potter, by way of Charlotte Brontë: BBC America's "Jonathan Strange & Mr. Norrell"
A review of BBC America's Jonathan Strange & Mr. Norrell. Sheila writes: Thank you all for taking the time to answer our survey! We will keep you posted on any changes that may come about. So let's get to the newsletter, shall we? Jack Kerouac famously wrote the majority of "On the Road" on one long scroll of paper. Kerouac found that taking the time to remove the finished pages off of the typewriter and replacing them with a fresh sheet interrupted his flow. California artist Paul Rogers, who has done ten book covers for Random House UK of Hemingway classic, has created an online scroll of beautiful illustrations for Kerouac's novel. Evocative and gritty, they make a great companion piece for "On the Road". You can see more of Paul Rogers' cool work at his site. Edgar Wright: "I am a film school reject. Twice!" Edgar Wright, the director of "The World's End," talks about the dangers of nostalgia, his work on "Ant Man" and the amazing references some people think they see in his films. Marie writes: As the dog days of summer slowly creep towards September and Toronto starts getting ready for TIFF 2013, bringing with it the promise of unique and interesting foreign films, it brought to mind an old favorite, namely The Red Balloon; a thirty-four minute short which follows the adventures of a young boy who one day finds a sentient red balloon. Filmed in the Menilmontant neighborhood of Paris and directed by French filmmaker Albert Lamorisse, The Red Balloon went on to win numerous awards and has since become a much-beloved Children's Classic. 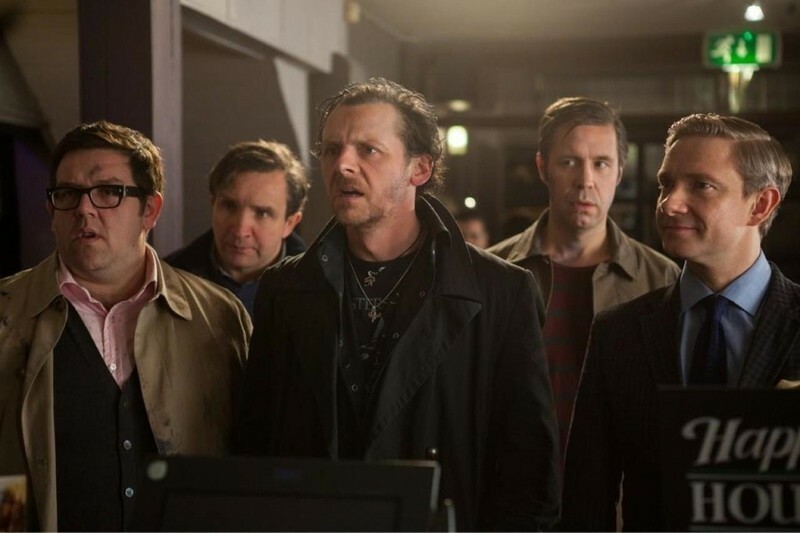 Jana Monji reports on the Comic-Con panel for the new movie "The World's End," from the team behind "Shaun of the Dead" and "Hot Fuzz." Marie writes: Welcome to "Good Books", an online bookseller based in New Zealand. Every time you buy a book through them, 100% of the retail profit goes directly to fund projects in partnership with Oxfam; projects which provide clean water, sanitation, develop sustainable agriculture and create access to education for communities in need. To increase awareness of Good Books' efforts to raise money for Oxfam, String Theory (New Zeland based agency) teamed up with collaborative design production comany "Buck" to create the first of three videos in a digital campaign called Good Books Great Writers. Behold the award winning animated Good Books Metamorphosis. Marie writes: Now this is something you don't see every day. Behold The Paragliding Circus! Acrobatic paragliding pilot Gill Schneider teamed up with his father’s circus class (he operates a school that trains circus performers) to mix and combine circus arts with paragliding - including taking a trapezist (Roxane Giliand) up for ride and without a net. Best original film in the 2012 Icare Cup. Video by Director/Filmmaker Shams Prod. To see more, visit Shams Prod. "Waltz with Bashir," Ari Folman's animated film about an Israeli soldier's flashbacks, has been named best film of 2008 by the National Society of Film Critics, the most prestigious of the critic'a groups giving year-end awards. A few weeks ago, the Hollywood trades were observing (or complaining) that, because of the 2008 presidential election, all the big studio Oscar-bait films had been pushed back into December. I mean, how are mere movies going to compete with that cast? "Obama. Biden. McCain. And Sarah Palin as Jaws." Last year's Oscar-winner, "No Country for Old Men," played the Toronto Film Festival in early September, the New York Film Festival in early October, and began opening around the country November 9. The critics groups split between "NCFOM" (NY) and "There Will Be Blood" (LA, National Society), which was a 2008 release in much of the country. UPDATE: The Hollywood Foreign Press Association, bestower of the Golden Globules, has announced its nominations... and even with a total of ten best picture slots (in Drama and Comedy/Musical categories) it overlooked "Milk," "The Wrestler" and "The Dark Knight," all of which seem to me like fairly obvious Globuley-Oscary pictures. Sean Penn, Mickey Rourke and Heath Ledger all got acting nods, though. Go fig. There will be lots to see between now and New Year's Eve -- and I still haven't caught up with "Milk," "Happy-Go-Lucky," "I Loved You So Long," "Ballast," "Rachel Getting Married," "Vicky Cristina Barcelona" -- all of which have already opened theatrically. Still to come: "The Curious Case of Benjamin Button," "Nixon/Frost," "Revolutionary Road," "The Reader," "The Wrestler," "Doubt," "Seven Pounds"... none of which, however, have made much of an impact with critics groups. Picture: "WALL-E" Runner-up: "The Dark Knight"
Foreign language film: "Still Life" Runner-up: "The Class"
Documentary film: "Man on Wire" Runner-up: "Waltz With Bashir"
Animated film: "Waltz With Bashir"
For years he was the consummate outsider in the world of British film. Now he's hailed as one of the UK's greatest directors. He is still an outsider, but things are looking better. 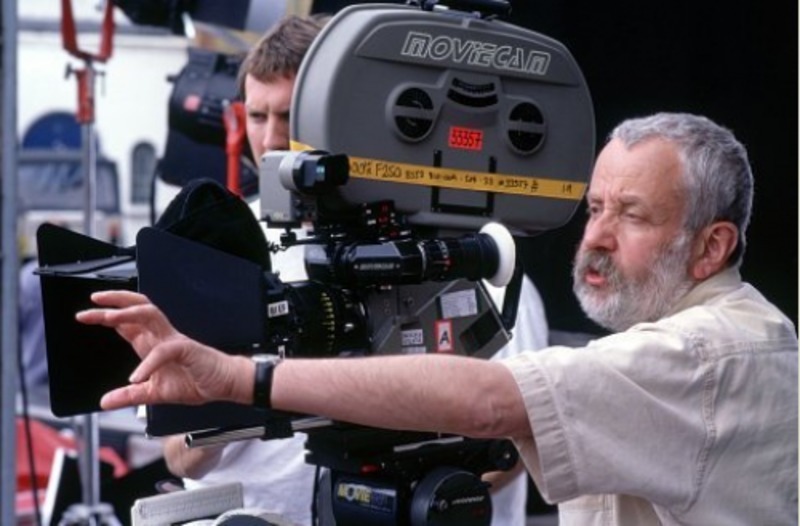 "I think I’ve probably progressed," Mike Leigh told me, "from being the outsider’s outsider to perhaps, in fact, being the insider’s outsider." Interview on Sept. 9, 2008 at the Toronto Film Festival. 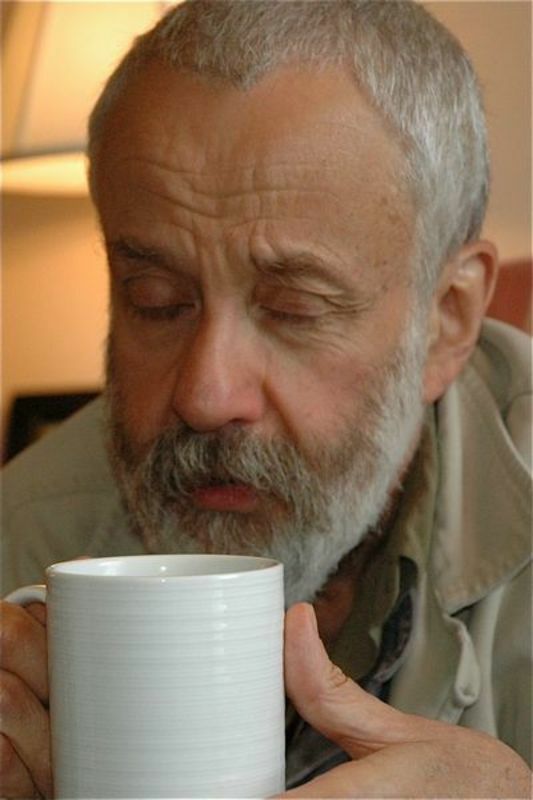 TORONTO -- Mike Leigh is 65 years old and universally acclaimed as one of the leading British directors, although "Happy-Go-Lucky" is only his tenth theatrical feature sine 1971. There's a reason for that. He went another 17 years before making "High Hopes" in 1998, although he kept busy with BBC films and stage work. His problem was, he couldn't get financing to make a film without a screenplay, and he famously has two conditions to make a film: (1) No outside interference, and (2) the screenplay is devised in collaboration with the actors, after the project has started.